Hi! My name is Francesco and I’ve been working in Drass since 2006. Now I’m responsible for the Technical Documentation Department, where all Drass system and equipment technical manuals, logistic support documentation and relevant software such as ILIS are realized. In addition, we’ve recently started to create training materials for our customers. 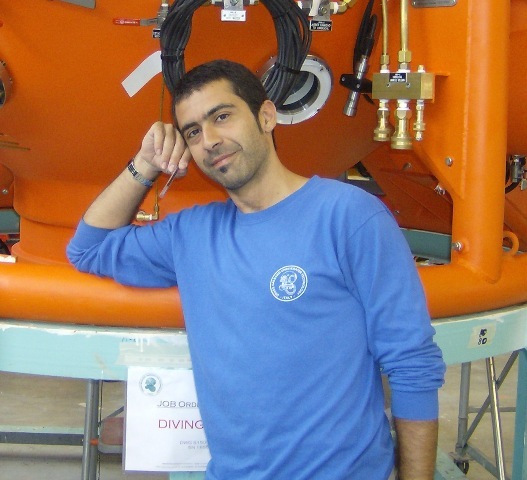 Throughout my experience in Drass I have also worked in the Quality Department, carrying out Quality System certification and product testing and certification with some experience in the commissioning of Drass Diving Systems in a South Korean Shipyard. For a short period I worked in the Global Service project too, another field in which Drass is developing. Despite all these experiences, I now do the same job as when I started to work here, with the difference that seven years ago I was alone in this job, while now there is a whole Department!